For each volunteer, the streets become a test of strength and self-reliance, and not everybody copes. They start to examine their own lives and their own relationships with homelessness: Willie has gambled hundreds of thousands of pounds away during a 40-year gambling addiction and has just gone bankrupt, while Kim survived being homeless herself as a teenager and has strong opinions on how deserving of help or not the homeless are in the UK. 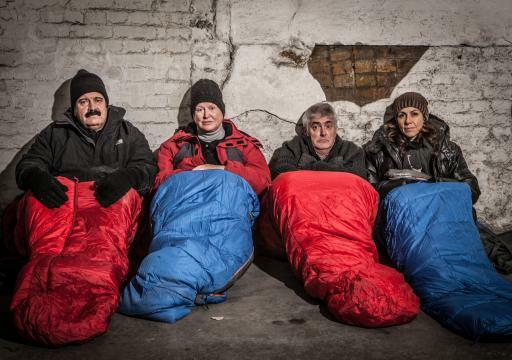 This social experiment, led by The Big Issue founder John Bird, aims to expose the realities of an increasing homeless problem in the UK. The number of rough sleepers has gone up 55% and the average age of death is just 47 years old - 43 if you're a woman. Meanwhile, one in ten of us will experience homelessness in some form during our lives.